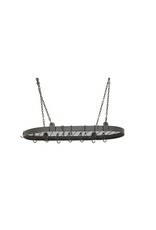 Free up cabinet space with help from this brand new half oval stainless steel pot rack. 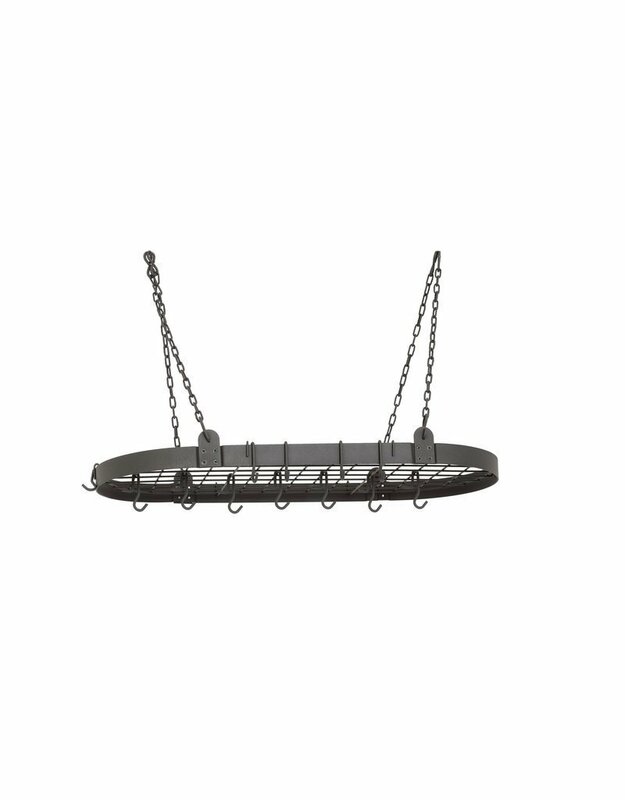 Packed full of fuctional features including grid shelf, 12 matching hanging hooks, graphite gray finish, and removable hanging chains. Grid shelf can also be removed and purchase includes all of the mounting hardware. 36" x 18" x 15.25"